Lung Khau Nhin is small market but still keeps its originals. 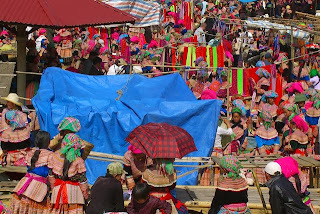 The Flower H’mong and Black Dao people will come to this market on every Thursday and bring a lot of things to exchange and sell. 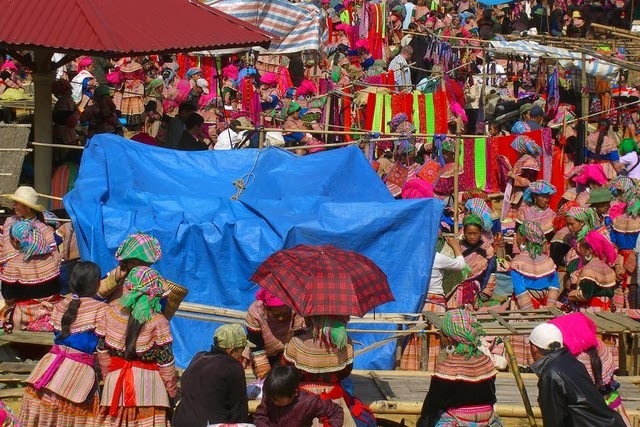 Walk from section to sections, corner to coerners, seeing and smelling of different local products such as: spices, vegetable, farming tools, handicraft…meeting smiling peoples everywhere.Lung Khau Nhin brings an interesting view into the life of Vietnam hill tribes. It is very ideal when driving toward the market in the early morning via the beautiful beautiful landscape of North west region.